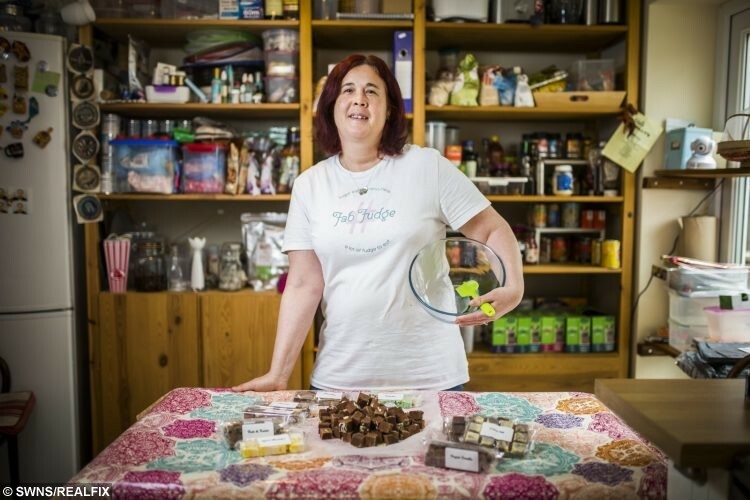 A woman who is facing the prospect of dying of MS is fundraising £50,000 for groundbreaking treatment in Russia – by making and selling FUDGE. Jill Marriner, 47, started flogging her sweets at table top sales this time last year to help her raise cash for life-changing treatment. 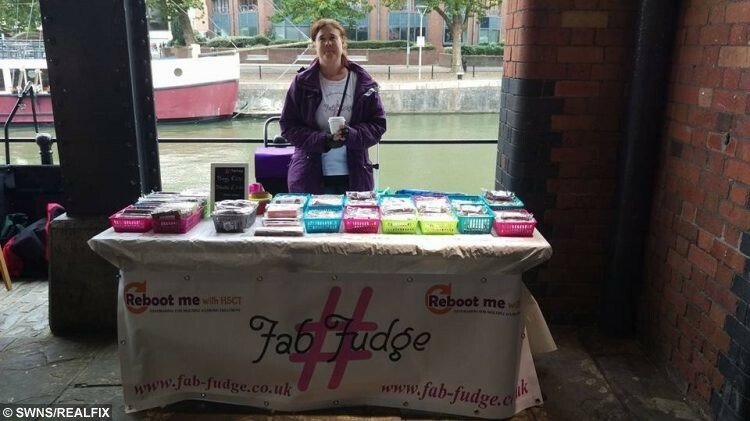 It was such a hit that the mum-of-one went on to launch an online shop and Fab Fudge now boasts a luxury 30-flavour range. Jill runs the business from her kitchen – with the help of son Josh, 22, and husband Tim, 47 – and is well on her way to hitting her £50k target thanks to soaring sales. Once she raises enough money she’ll be able to fly to Russia for the innovative treatment, which is said to ‘reboot’ the immune systems of sufferers. It’s not a cure for MS but if successful, the stem cell transplant – which isn’t available on the NHS – will give Jill, of Hartcliffe, Bristol, her spark back. She said: “It would be amazing if I could raise enough money to have this treatment. It’s not a cure, but it’s close to a cure. “Fab Fudge was born to help me towards that target. “I started making it for friends and it was popular. They said, ‘You really should be selling this’, so I did. The rest is history. “Initially it just looked like brown squares of fudge but over time I’ve experimented and played around with the recipe, with colours and flavours. “I wasn’t really making that much at first but it took off overnight. “Now we have an online shop and we’re getting at least five orders a week. “We make the fudge fresh in my kitchen and let it set, then chop it and bag it up. It’s like a full-time job – I have to force my body to keep up. Jill is fundraising for treatment which is similar to a bone marrow transplant and is currently being trialled by doctors in Russia. It is called Autologous Haematopoietic Stem Cell Transplant, or A-HSCT and is available in the UK, but Jill says she’s been told she’s ineligible for trials. The innovative procedure involves harvesting the patient’s own stem cells and storing them before blasting their entire body with chemo. This destroys the faulty immune system in which the MS is taking hold. The stem cells are then transplanted back in with the hope that the body will recover from the chemo and the white blood cells return healthier. Jill calls it a ‘reboot’ for her body and hopes it will ease her fatigue and ‘brain fog’. In all, the procedure – minus the cost of flights, accommodation and aftercare – will set Jill back around $50,000 dollars, she estimates. As well as donations from strangers, income from her part-time admin job and charity skydives, a big chunk of that will come from her Fab Fudge earnings. Jill selling fudge at a market. But as well as helping towards her enormous target, Jill said preparing the roughly five orders she receives every week acts as therapy for her. 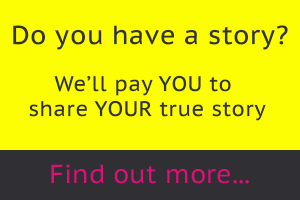 The mum, who has also had to remortgage her house to help raise funds, said: “I love it. It’s very therapeutic – I have a whale of a time. She added: “My illness has destroyed my life. I wasn’t a brilliant mum when my son was little because I was always tired and ill.
“I asked him what memories he had of his childhood and he said, ‘You were always sick.’ That broke my heart. It was soul-destroying. “I would love for this treatment to give me my life back. I will always have MS, but it might put the illness into a dormant state.